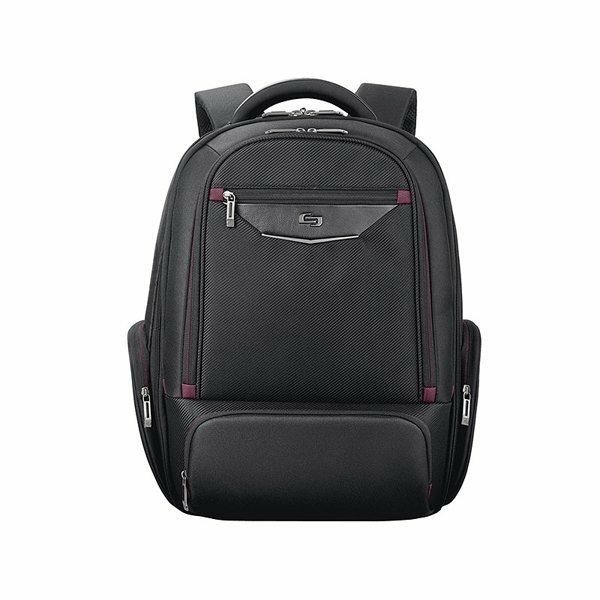 The fully-lined Solo Executive backpack is constructed from top-shelf materials. 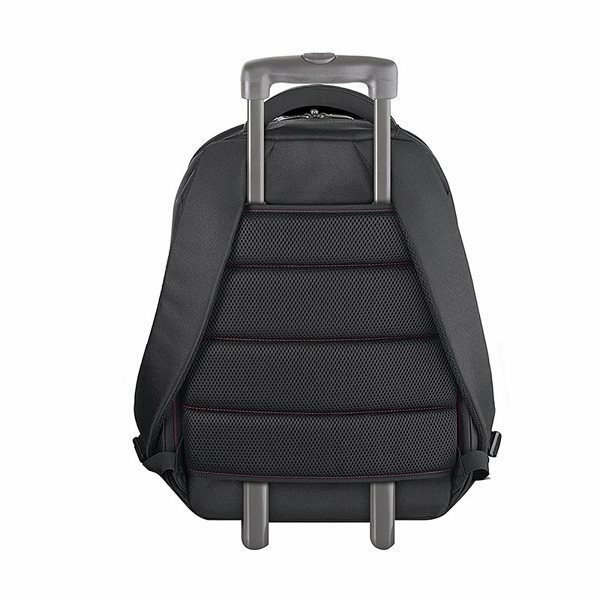 The high-capacity rear compartment includes a padded pocket that will hold 17.3" laptops, and two extra pockets. 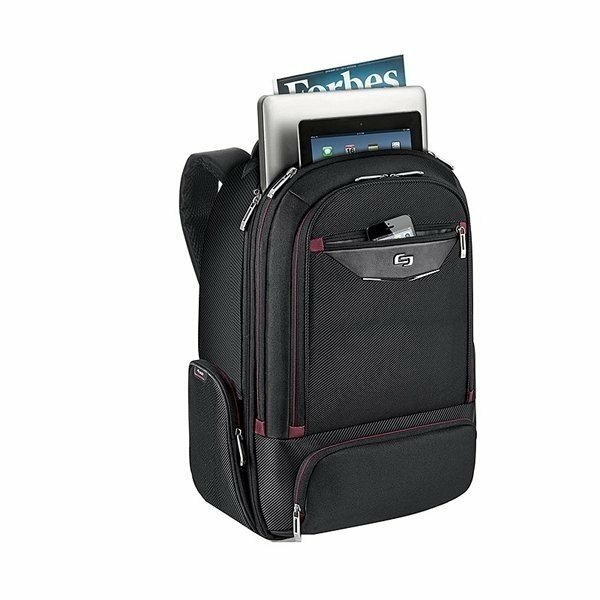 The center compartment has a dedicated tablet / eReader pocket and two large file pockets. 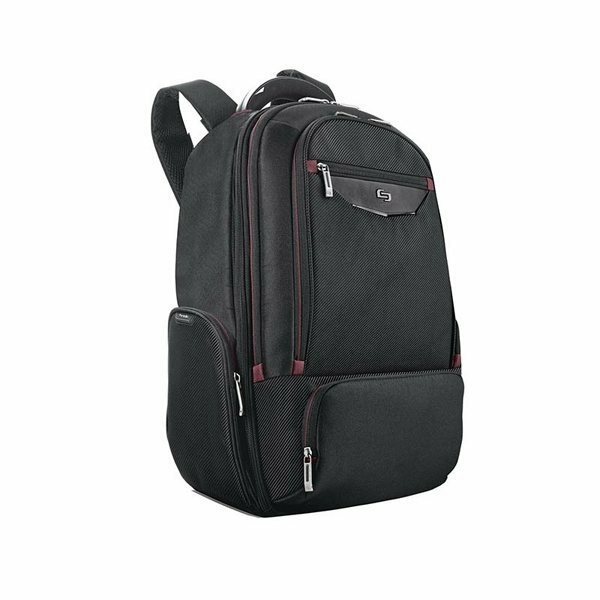 The front zip-down pocket is loaded with organizers, zippered mesh pocket and a key hook. 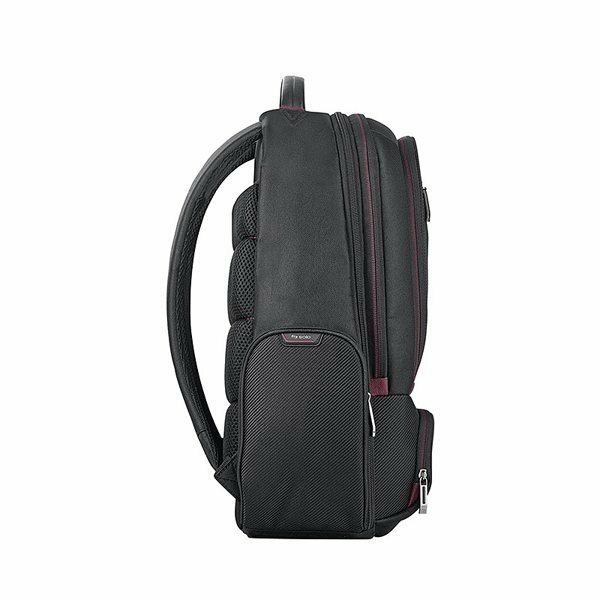 The backpack also features a quick access front pocket, bottom accessory pocket, two side pockets, padded carry handle, padded air mesh back, trolley strap and adjustable backpack straps. I also liked the simplicity of the product. 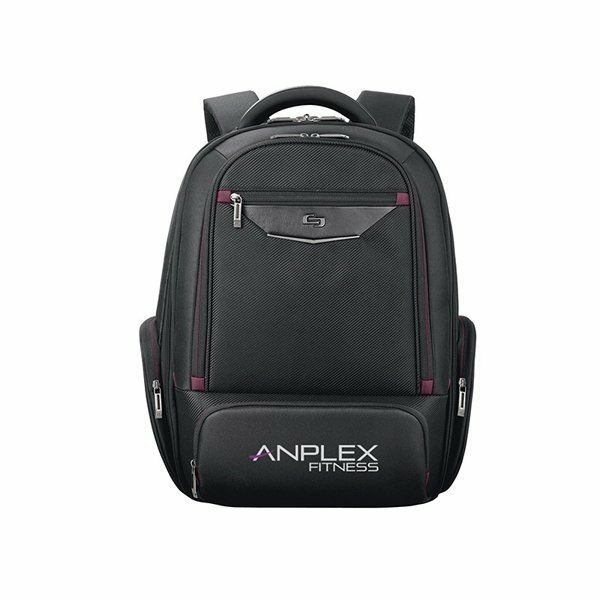 This is an excellent product. Always as ordered, Thank you Nice size for staff meals or personal items.